Availability: Requested quantity of the following item(s) is not available: Item 1, Item 2, Item 3. Spend an extra £150.00 exc. VAT to qualify for FREE DELIVERY! FREE Delivery on all orders over £150 exc. VAT* *Applies to mainland UK only. Order before 12 noon on Wednesday 17th April 2019 for delivery in time for Easter! Any orders received after this time will be processed on Tuesday 23rd April for delivery after Wednesday 24th April. May we take this opportunity to wish you all a very Happy Easter! 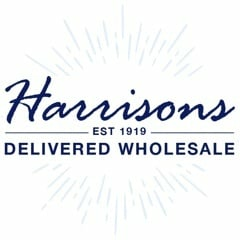 5 / 5 Very quick delivery, Great items, Great service. Well Done. Will definitely be placing another order! At Harrisons, we understand that a reliable and timely delivery is vital to our customers - we use trusted couriers and have a 98%+ success rate in achieving next day delivery. Please note, we cannot accept returns on any of our GSL medicines unless they are damaged or faulty. Please call us on 01254 306840 to discuss with a member of our team.